Most states give you a specific window of time in which to contest a will, and the clock starts ticking once a will is admitted to probate. File a will contest as soon as possible after probate begins to ensure that your will contest is not dismissed for being filed too late. Once the will has been filed for probate and the court has appointed an executor, the executor is required to send notice of probate to certain individuals. These people include the estate's creditors, the beneficiaries listed in the will and anyone who would have received property from the estate under state law if no will existed. Any of these people, known as "interested parties," may contest the will. The time for filing a will contest begins when the person who files or plans to file receives his notice of probate. How long a person has to contest a will is known as the "statute of limitations" or "limitations period" in most states. The amount of time varies according to state law. For instance, the state of Washington allows four months from the time the interested party receives notice of probate and the time she files a will contest. 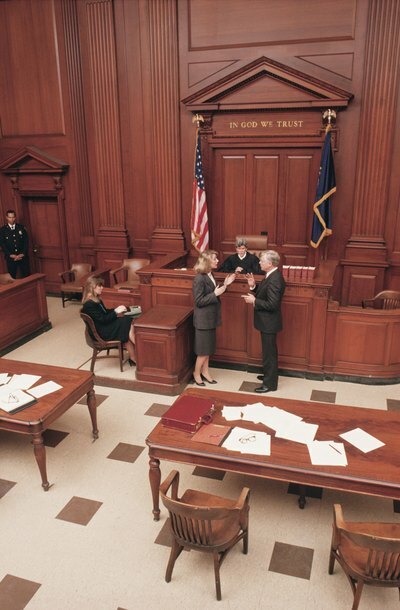 Occasionally, the limitations period may be suspended for certain court actions or other events. An attorney who practices estate law in your state can tell you how long you have to file a will contest and whether any court orders or other events have affected the deadline. Several states distinguish between informal probate and formal probate, with different amounts of time to file a will contest in each one. Informal probate is used when the will is self-proving and meets all other requirements of state law. Formal probate is used when a will is not self-proving or does not have the required witness signatures. In states that distinguish between the types of probate, there is often no limit to the amount of time you have to file a will contest if the will is in informal probate. However, once you file the will contest, the will enters formal probate and the clock begins ticking for anyone else who might wish to file a will contest. Consult an attorney before you file a will contest. An attorney can tell you how long you have to file in your particular case, and can estimate how long it will take to build a will contest case that will stand up in court. Since a will contest must be based on a flaw in the will or its execution, you will have to demonstrate that this flaw exists by collecting medical records, eyewitness testimony and similar evidence which may take some time to acquire. Finally, a will contest suspends the probate process, forcing everyone to wait longer for the assets to be distributed from the estate, and an attorney can advise you as to whether making everyone wait is in your best interests. Alameda County, California: When Can a Will Be Contested?